They will top the bill at the festival in Daresbury, Cheshire, which is taking place between August 22 and 24, according to NME. 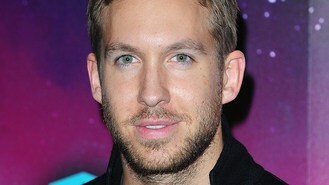 Calvin will headline the venue's South Stage while Avicii and Deadmau5 take to the North Stage. Calvin then moves to the North Stage on the 24th, with Tiesto heading up the South Stage that evening. Other acts appearing at Creamfields will include Afrojack, Martin Garrix, Steve Aoki, Armin Van Buuren, Showtek, Steve Angello, Hardwell, Eric Prydz, Annie Mac, Skream, Pete Tong, Fatboy Slim, Nervo and Alesso. There will also be sets from Duke Dumont, Paul van Dyk, Dirty South, Jaguar Skills and Gorgon City. Swedish producer and DJ Avicii's hit Wake Me Up was the third single to break the million sales mark in the UK last year, after Daft Punk's Get Lucky and Robin Thicke's Blurred Lines. Last year, the festival was headlined by The Prodigy and in 2012 the final day was cancelled after flooding, although organisers made around £500,000 of improvements to the site before the 2013 event. Tickets for Creamfields 2014 go on sale on February 28 at 10am.